Trade snow for sand and discover a whole new side to the holiday season. Plan a Caribbean getaway for Christmas and celebrate with Playa Mia on the beach this year! No cooking. No cleaning. Enough said! Unique Mexican Christmas celebrations like las posadas and el Dia de Reyes. Memories make the best gifts - and you'll never forget the Christmas that you spent in Cozumel. Recreate home. Pack your stockings and gifts to bring your traditions with you. Warm up in the sunshine instead of freezing in the snow! Cool holiday gift shopping at Playa Mia's marketplace. Packing is easy. Skip the bulky coat, mittens, and hat - and bring a bikini instead! Start new holiday traditions with your family and loved ones by experiencing new things: Cozumel food tours, snorkeling trips, and parasailing adventures. De-stressing on the beach is better than getting caught up in the seasonal frenzy with holiday to-dos. Spend oodles of quality time with family, friends, and the people that you love the most. 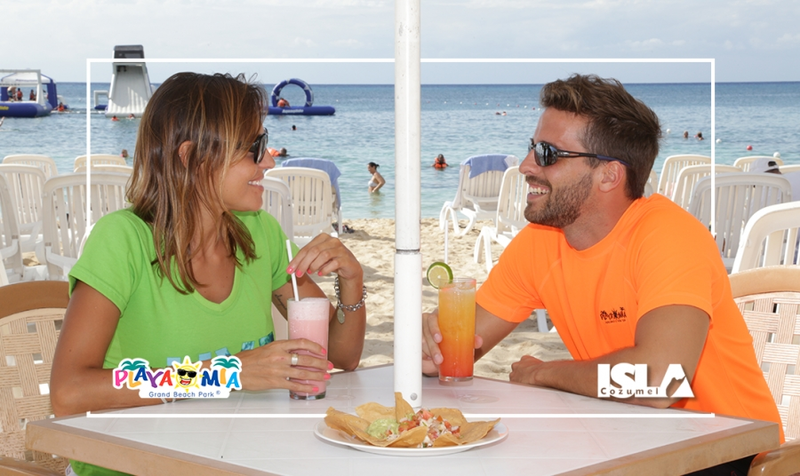 Whether you plan a holiday cruise or an island getaway - discover endless fun at Playa Mia Grand Beach and Water Park. Check out our tours for cruise guests and our tours for independent travelers. Contact Playa Mia for more Caribbean travel tips and make your booking today. Happy Holidays!